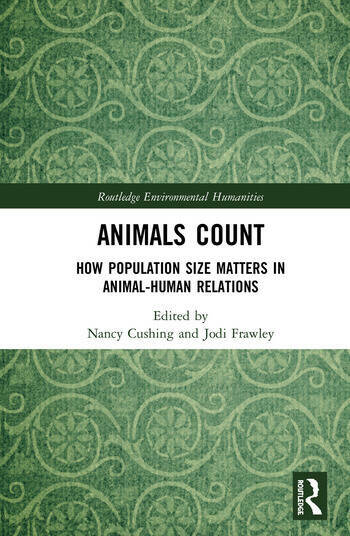 In this edited volume, leading and emerging scholars investigate for the first time the ways in which the size of an animal population impacts how they are viewed by humans and, conversely, how human perceptions of populations impact animals. This collection explores the fortunes of amphibians, mammals, insects and fish whose numbers have created concern in settler Australia and examines shifts in these populations between excess, abundance, equilibrium, scarcity and extinction. The book points to the importance of caution in future campaigns to manipulate animal populations, and demonstrates how approaches from the humanities can be deployed to bring fresh perspectives to understandings of how to live alongside other animals. Nancy Cushing is associate professor in History at the University of Newcastle, Australia. An environmental historian most interested in relations between humans and other animals, she is co-author, with Kevin Markwell, of Snake-bitten, Eric Worrell and the Australian Reptile Park (2010), co-editor of Radical Newcastle (2015) and is writing a history of meat eating in colonial Australia. Jodi Frawley is an honorary research fellow in the Department of History at University of Western Australia, Australia. She is interested in understanding the cultural implications of environmental change in all its guises, from globally mobile biological matter to the ways that race relations impact in the environment. Her current project is a history of fishing in the Great Sandy Strait, Queensland.